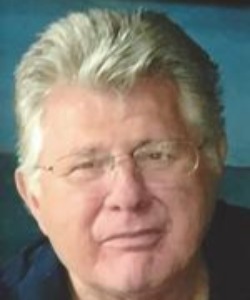 Miles LaFever, age 72, of Butte des Morts, Wisconsin passed away unexpectedly on Tuesday, January 15, 2019, at his residence. He was born March 18, 1946, and raised in Batavia, Wisconsin. His parents, Helen and Clarence, had four other sons, Jay, Neil, Dennis, and Mark. Miles attended Random Lake High School and was an avid athlete playing football and basketball. He was part of winning a state championship in basketball in 1962, and was voted Prom King. After high school he was drafted into the Army and cooked in the officer's club for top ranking military personnel. After his service he attended the Milwaukee Institute of Technology. He started his career path in Batavia, Wisconsin at the age of 10 when his mother got him cooking with 4-H. At age 11 Miles won a Pillsbury bake-off making white bread that is still baked today at his restaurant. He opened his first restaurant in Campbellsport, Wisconsin called the Bar N' Annex. His next adventure was Huck Finn's in Orihula in 1978, and in 1993 Miles purchased Jimmie's White House in Butte des Morts where he continues to share his joy with his two sons, who carry on his legacy, knowledge, and love of cooking by continuing to run the White House Inn. Miles was an active Mason and loved participating in Civil War reenactments. He was an avid collector and researcher because of his grandfather's service in the Civil War. Miles was a dedicated grandfather, father, Mason, proud business owner, and chef. He enjoyed his family, friends, and the "occasional" old-fashioned. Miles also enjoyed golfing, fishing, deer hunting, road trips, and serving his community. Preceding Miles in death were his parents, Clarence and Helen LaFever; and three brothers, Jay, Neil, and Dennis LaFever. A visitation for family and friends will be on Tuesday, January 22, 2019, from 3:00 to 6:00 p.m. at Mueller Funeral Home 904 E. Main St. Winneconne, Wisconsin. A Masonic service will be held on Tuesday at 6:00 p.m. at the funeral home. Miles' family wishes to thank to the Winneconne-Poygan First Responders and the hospital staff at Mercy Medical Center, Oshkosh. I can not begin to tell you how much Miles will be missed. He was a very good friend and all around great guy. I am so sorry for the loss to the LaFever family and Diane. So many good times and smiles when ever we saw Miles. A loss to all who had the fortune to know him. Rest in peace, my friend. See you again, "You old Sea Dog." Chad and Family, we are so saddened to learn of your father's passing. Please accept our deepest condolences at this difficult time. He raised great sons in you and your brother. May his memory be always cherished and thrive in your heart. My condolences to all of Miles' family. He was certainly a blessing in the lives of those who knew him and he will be missed. Diane we are so sorry to hear about the loss of Miles. The White House wont be the same. Our prayers are filled with warmth during this very hard time. So sorry for your loss Diane and LaFever family. Miles was always such a fun person to be around. He had an infectious smile and super personality. He will be missed. Cherish your wonderful memories. I wish I could have spent more time with Miles as I did with others in the family, but the times we did spend together all leave great memories. He can now spend time with his other brothers. May he rest in peace! Sorry to hear about your loss, a friend and classmate. Our heartfelt sympathy to Diane and the family. We will miss his smiling face. You are in our thoughts and prayers. To all the La Fevers. Our hearts go out to all of you. Miles will be truly missed. Our prayers go out for you. Chad and Tunis,so sorry to hear about your dad. You are in my thoughts and prayers. that he would so often entertain us with. As you grieve your loss please know that Miles was a beloved man that enjoyed life and will be missed by all of us. Very sad to here of Miles passing. Great guy. Great basketball teammate. Enjoyed dining at The White House Inn and talking with him after. He will be missed. Diane, I am very sorry for your loss. If there is anything I can do to help you, please let me know. We are so sorry to hear about your dad, TJ and Chad. Our deepest sympathy. We always enjoyed seeing all of you at the restaurant. His legacy is in good hands. Our deepest sympathies to Miles' family and all who knew and loved him. I will always remember the wonderful times we shared as classmates. You will be missed by so many and never forgotten. I will never forget you. RIP Dear Friend & Classmate..
My condolences to the family of Miles LaFever. He was a great chef and taught me to be the at-home cook I am today. I began working for him at Huck Finns when I was 16. I cant replicate his potatoe pancakes! He will be missed by all that he touched. Diane,Tunis, Chad and Mark, Our sincere sympathy and love to you and all of Miles' family and friends. Miles was an incredible man who really enjoyed life. It was our honor and privilege to know as a wonderful friend. May God bless you all. O - M - G.
Condolences to the family. Thoughts and prayers go out to the family. Miles will be missed. Hubby and I enjoyed going for breakfast and dinners to the Whitehouse. I will miss waiting on him at BDM SuppeSupper too. RIP. Fly with the angels. We are so sorry for your loss! Miles was a great man and a good friend. He will be missed by so many. We are so sorry for the loss of Miles. We always enjoyed our visits to the Inn and the delicious food! May the angels comfort you and hold you in their loving arms! Our Deepest Sympathy to you Diane and also to the LaFever family. We will keep you in our thoughts and prayers. You will be missed by myself and many others. Enjoying dinner with you and your family was always the highlight of my EAA trips. You and your family are and will be in my prayers.